I really love the illustrations on this packaging. Bubble gum with savings for moms! 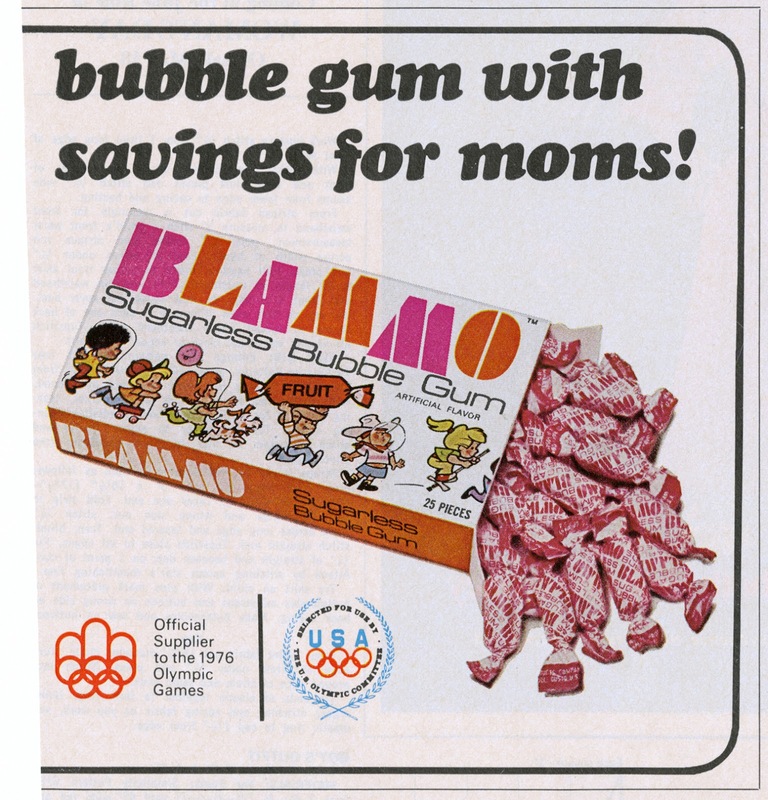 And who knew that the Olympians in 1976 got supplied bubble gum?!? !